Great location and not many hostels in the island. The owner is very nice. Everything written in other reviews is correct.... Just a note, there is no reception on site, so make sure you arrange arrival in advance. 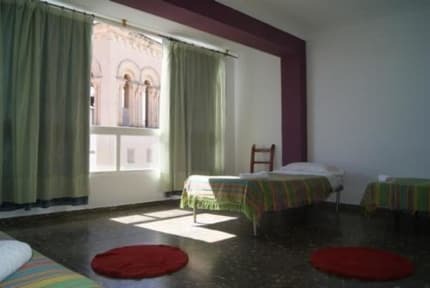 Located in city center, five minutes walk to old town and the port. No reception, you have to call when you arrive, then a man will come to hand over you keys. The stuff from Argentina is very friendly and polite. The room is clean and toilet is always washed. 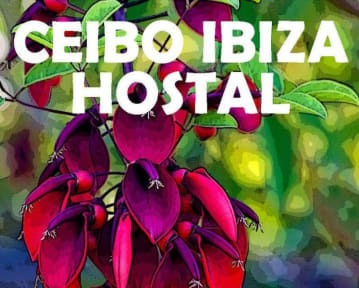 However, there is no receiption, I need to call them when I arrived, also there is only one toilet shared for 4 rooms, even it is low season in Ibiza, I still need to wait sometimes, and the microwave is broken, not every bed with socket. It was a good location and price but just found it odd how you needed to email the hostel before arriving even though it was never mentioned. There is no reception at this hostel to ask questions on where to go. Overall a decent place. The only problem is that 'reception' is on the 5th floor, and we saw the owner once during the entire stay. No actual employees working during day hours. We got lucky by seeing him, but what if we hadn't? No way to get inside during check in (you need a key), no instructions on how to check out. I'm sure tons of newcomers are totally lost at first arrival. Decent bed, lots of blankets provided, free locker with key, showers with good pressure and sufficient hot water. The gal who checked me in was AMAZING. Super sweet and accommodating. This hostel has no public space which makes it difficult to socialize or entertain yourself when there is terrible weather. My sheets didn't fit my bed/pillow and they had stains on them which was rather gross. Its nice that it is really cheap but I'd recommend somewhere else. The overall stay was "OK" only because of location of hostel. Its very near to bus stop and forts or other tourist spots in the vicinity. Staff said there would be complementary breakfast, but it was not. there was no breakfast at all but had few things like - There was Musli but no milk and no bowls or spoons to eat. There was coffee, tea and sugar but no mugs or glass to drink. there was microwave but no socket to switch on it. Wouldn’t recommend this place to anyone on their own. It’s in someone’s apartment so just 4 rooms on the 5th floor of an apartment block which is pretty creepy to walk up on your own. Theirs absolutely no atmosphere as no common room, kitchen or place to meet anyone else. There’s a microwave and kettle but no cups! The rooms are also very cold as don’t get much sunshine onto them. There is no reception, it’s in someone’s house. There’s a family living next door so can’t even talk after 21. The private room has bunk beds. The elevator is 2 prople max and takes long sometimes since it’s on 5th floor. There are no common room tv facilities which is irritating.